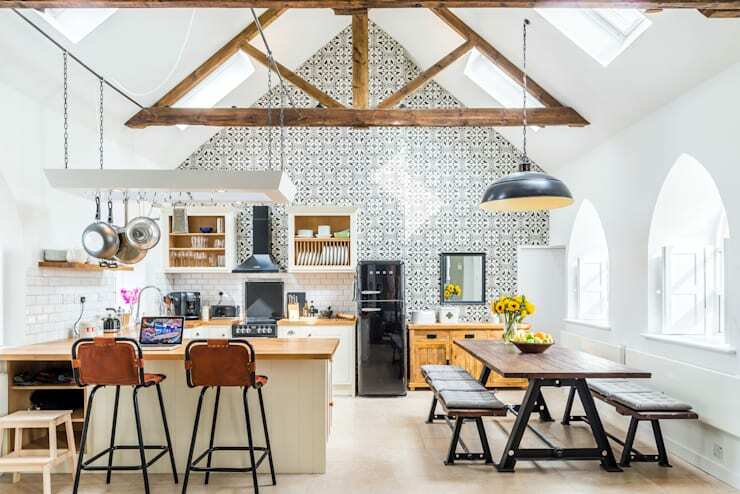 Situated in the rural surrounds of Durham in the North of England is a newly converted church home that offers all of the character and charm one would expect from a special project such as this. The old church is located amongst rolling green hills and pattern dry stone walls which are evocative of rural England. 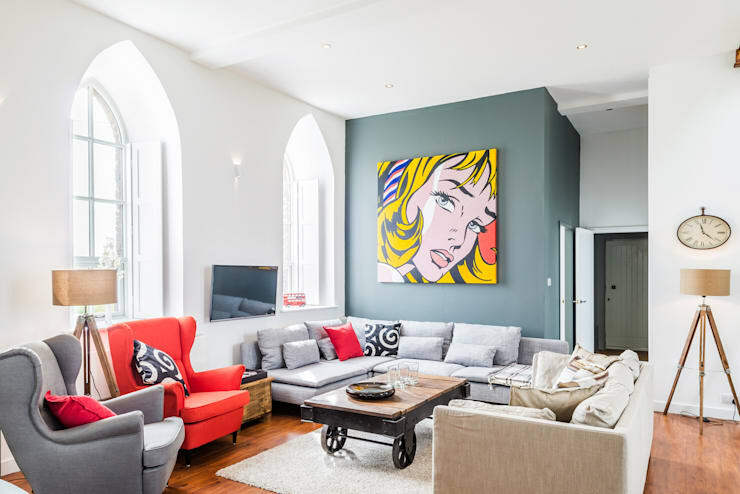 The conversion was undertaken by Swiss Architects Evolution Design, whilst images of the new home have been captured perfectly by London-based photographer Chris Humphreys. So, without further ado, lets begin our tour. Standing proud amongst the rural surrounds is the old church. The old building resembles the regions intact built heritage with its patterned stone brickwork, arched windows, and distinctive pitched roof. Those who pass by would be forgiven to assume that the home was still a functioning church. However, those who enter through the red door will soon realise that the old church has begun a new phase in its life. Internally the home is bright and beautiful with touches of both tradition and modernity. High ceilings, shaped windows, and the white colour palette bring a sense of light and openness to the shared kitchen and dining area. A timber dining table with seats resembling church pews are just some of the many wooden elements that are prominent in the room. Further into the home the lounge room is filled with many comfy couches and armchairs creating a welcoming and cosy atmosphere. A dark blue-grey feature wall is the focal point here and accommodates a retro print which brings a contemporary accent. Again, the original windows of the church bring an abundance of natural light into the space while also providing an interesting architectural design feature. 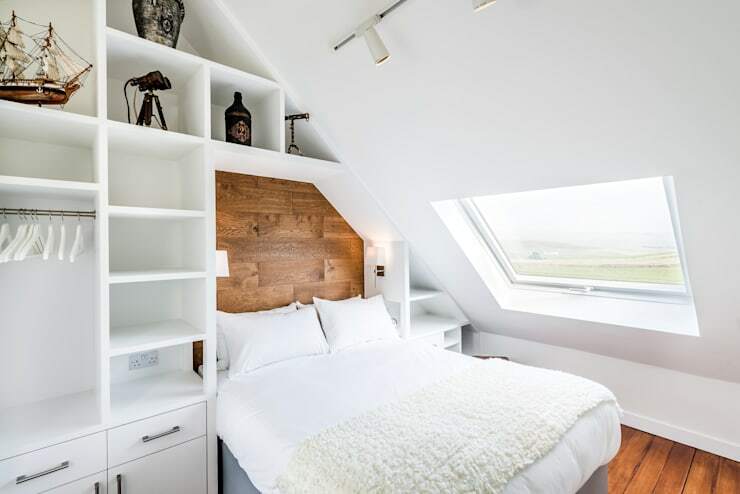 Upstairs the owners are blessed with a bedroom that brings a sense of peace and calmness. An all-white colour palette works wonders combined with the timber flooring and cladding behind the bed. Floor to ceiling storage provides plenty of space to house clothing, ornaments, and trinkets in an attractive manner. 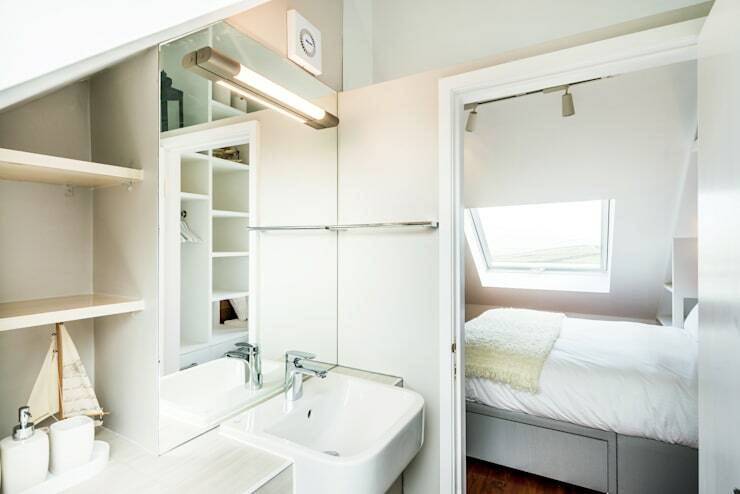 All the possible space has been utilised despite the awkward angle of the ceiling. The en-suite is small in size but offers the perfect variety of features for a quick wash in the mornings. A bathroom in another section of the home offers a larger space for the occasions when time is no issue. 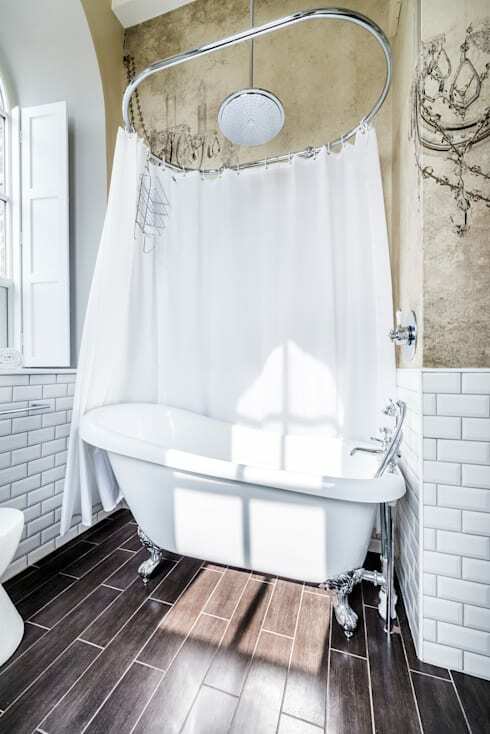 A beautiful standalone ceramic bathtub promotes long soaks, and is complete with a round water fall shower. 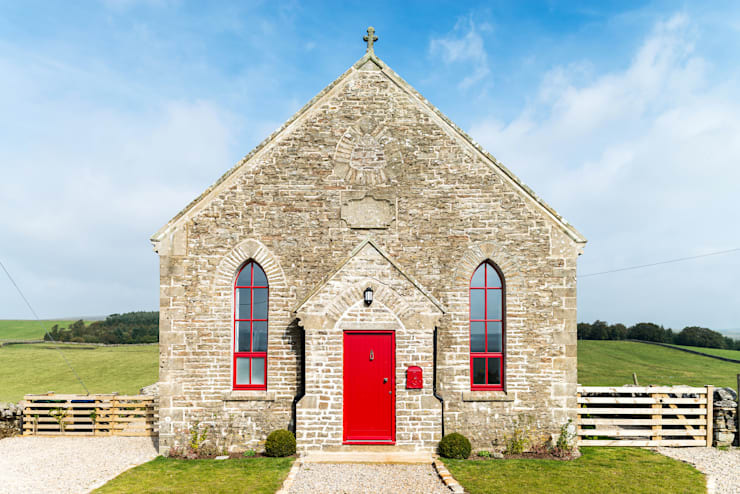 If you're interested in seeing some more conversions of old buildings make sure to click the link below to see an old school hall conversion with an amazing design feature within.